This mod adds officers to most units in the game. It covers all factions and is lore friendly(ish). LISTEN UP MAGGOTS! OFFICER ON DECK! Remember in the historical games where every unit had it's own unique officer leading their troops into battle? Were you a bit disappointed when that detail was cut from Warhammer? Well, this mod fixes that. This mod adds officers to all factions, that's right, officers to all factions. 94 new officers have been added to all 14 faction groups, officers have been added to most units that are not single model units, which means most infantry, archer and cavalry units will have them. Each officer has a hand-made mesh and custom textures which really makes them pop, but also matches them to their unit so that archers will have a light officer, while elite units will have fancier ones. Check out the screenshots above, it took me ages to take them all. All officers in this mod also have slightly more health than the soldiers around them, so you don't have to worry about them dying too quickly in battle. 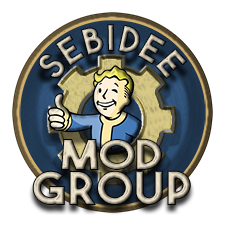 This mod is save game compatible and will be compatible with most reskin mods. It is visual only and does not affect unit stats. It may be incompatible with many battle mods. This mod is also now COMPATIBLE WITH SFO. It is also compatible with Luckyspade's Choice and Consequence Overhaul. And it's compatible with Cataph's Boyz will be Boyz - Closer to Tabletop Overhaul mod. Custom textures have been made by none other than the amazingly artistic aussie adopotato, check out his other mods HERE. Thanks for reading and I hope you enjoy the mod! Don't forget to rate, favourite and comment. 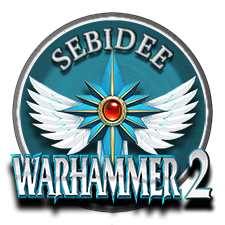 Did Sebidee abandoned all his mods? I can confirm that. Wood elf rebels crash the game with this mod installed.